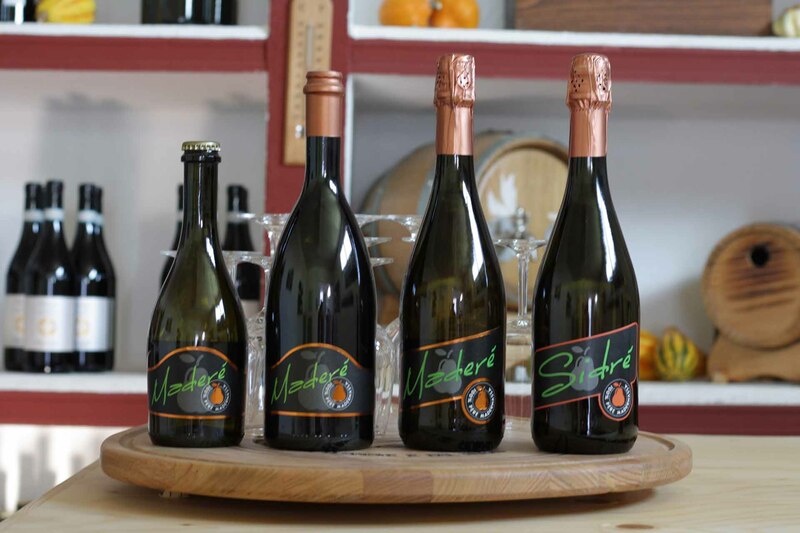 The choice of the name for a unique and distinct product like our Madernassa pear cider is not simple: it takes something that ingrains in the memory, easy and immediate, and that at the same time refers to the variety of the fruit and therefore to the territory. “Maderè” was a bit of a love at first sight after so many unconvincing attempts, and for years fitted just perfect in its role. But it is important to be able to recognize when there is a need for change, and always be ready to improve. Because of its sound, which is very similar to some words in the Piedmontese dialect, it often happened that the locals distorted the name, pronouncing it “madrè”, “madernè” or “madarè” (and in many other ways! ), making us doubt about the long-term effectiveness of the brand. 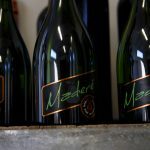 how to summarize in a single word the concept of cider, giving the right importance to the Madernassa pear and the territory in which it grows? how to find a simple but catchy name, that manages to intrigue people without creating confusion? Starting from this consideration, and after several attempts, I had a brainwave: Sidrè. 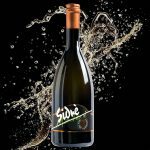 In addition to clearly referring to cider, the word Sidrè follows the expression in Piedmontese dialect “si drè”, which means “back here”. However, this play on words hides a secret meaning. As a child I wasn’t aware of the fact that “si drè” meant what it meant, and when in the old family house the “adults” asked me to go pick two pears “sidrè” I thought they referred to the variety – which is actually Madernassa. So I’d run in the back yard to pick up a couple of pears from the two big trees we had. Growing up I learned the true meaning of the word, but that expression, that “sidrè”, still makes me think of that enthusiastic boy, focused on finding the most succulent Madernassa pear. So, in addition to the effectiveness in the requirements listed above, this name also carries an emotional value, a memory linked to my Piedmontese childhood, growing up in the hills, in a still predominantly agricultural world. Here’s the beginning of a new chapter for the first Madernassa pear cider, with a different look and strength. Don’t worry, however, the taste is always the same!